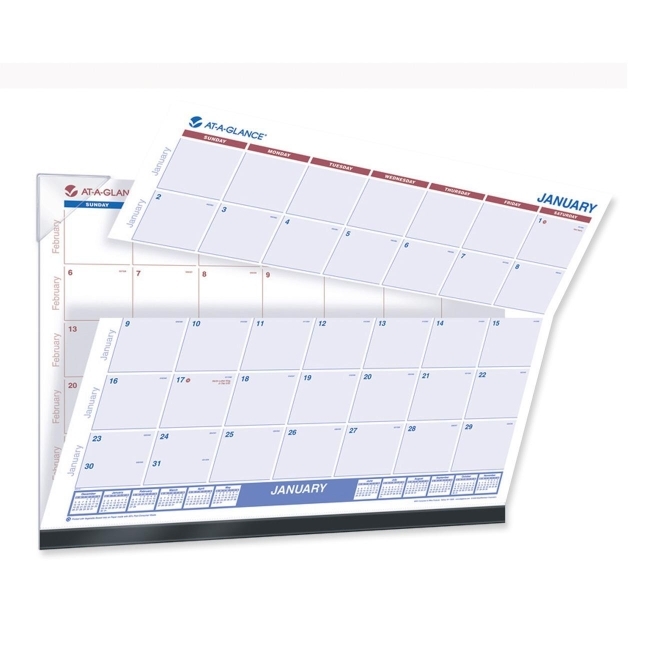 Block Size: 2.75" x 2.50"
At-A-Glance SKLKFW32 Calendar - 22" x 17"
Desk pad calendar features binding at the bottom and perforation after second week of the month so you can fold or tear off the top weeks to see the first two weeks of the next month. One-page-per-month format ranges 12 months from January to December. Each month has unruled daily blocks (2-3/4" x 2-1/2"), Julian dates, Monday through Saturday format and past and future months reference. Calendar has two clear vinyl corners at the top to secure pages and highlighted federal holidays. 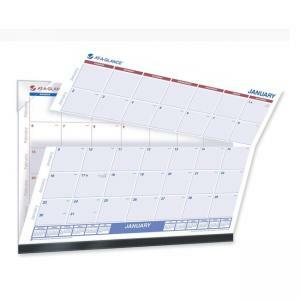 Calendar is printed on quality paper containing 30 percent post-consumer material.